The 9120-FM dual monitor mount displays two flat panel monitors side-by-side on independent articulating monitor arms from one point on the desk. 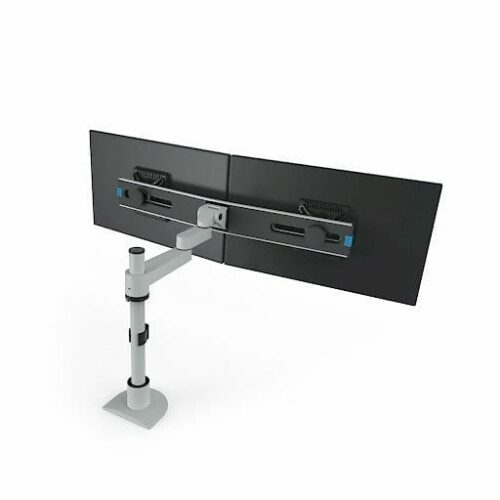 Save space and adjust each monitor arm for ergonomic comfort. Easily mount two flat paneled computer monitors side by side with the space-saving 9120-FM dual monitor mount. 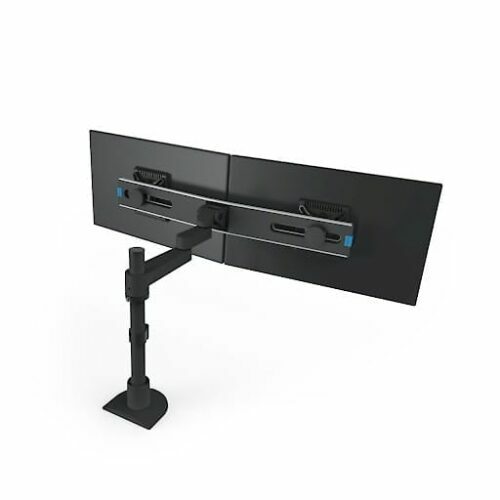 The articulating monitor arms allows users to position each monitor independently of the other, and quickly adjust, pivot, and place as needs change. The included 14" pole mount enables users to set the height at any desired position. Friction control system provides smooth adjustement while adjusting the position of the dual monitor arms. The 9120-FM Dual Monitor Mount can be combined with all Innovative mounting options (sold separately).